Writer, gamer, and nerd of the highest order. More Canadian content today. The most Canadian, in fact, for there can be no more quintessentially Canadian band than the Tragically Hip. I feel unpatriotic for not sharing one of their songs sooner. With their massive catalogue, there’s any number of songs I could have picked, but perhaps unsurprisingly, I’ve gone with one of the saddest, Fiddler’s Green. It was written for the nephew of the lead singer, who died young during the writing of this album. I blame the time of year. I may be the only one who feels this way, but spring depresses me something fierce. The peace and beauty of winter are replaced by gloom, rain, mud, and misery, and I dread the coming of summer’s heat. Of course, any Tragically Hip song now takes on a bittersweet tinge following the passing of the singer, the late great Gord Downie. I remember them playing Fiddler’s Green during their last ever show. Forget the house; there wasn’t a dry eye in the nation during that song. Those of you in other countries who don’t know the Hip may think I’m exaggerating. I am not. There’s no way to adequately describe in a short blog post what this band and Gord Downie meant to Canada. Prime Minister Justin Trudeau himself was in tears on national television when the news of Gord’s death broke, and absolutely no one in the country thought this was unreasonable. I’ve now come to the end of the story content in Anthem. The main plot ended as it lived: forgettably. But that’s okay. The main story isn’t what makes Anthem special. 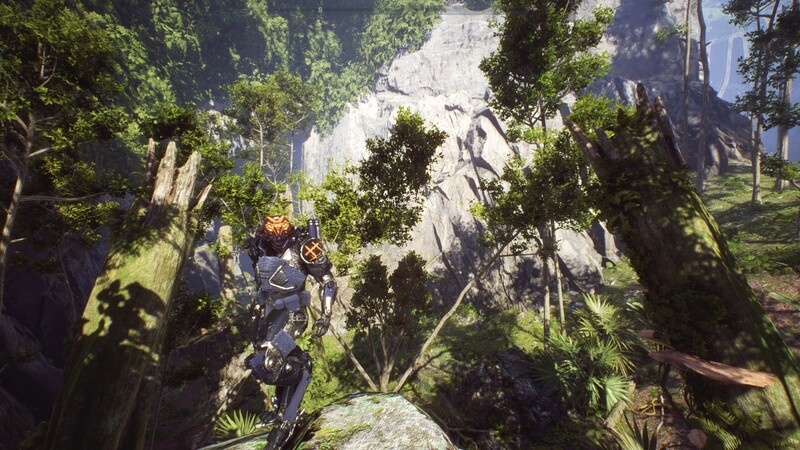 It is the side stories where Anthem reaches its full potential. The game captures the fantasy of the “Free Lancer,” a science fantasy knight-errant, very well as you explore contracts and freeplay, policing the wilds of danger and making life safer for the ordinary people of Bastion. Interestingly, the side missions and conversations continued for quite a while after finishing the main story. I’ve played plenty of games where it was possible to keep pursuing side missions after the main plot, but I think this is the first time I’ve seen a wealth of side stories that only unlock after the big plot stuff is wrapped up. Seeing as the side stories and background NPCs are Anthem’s strength, I was quite pleased by this. Oddly, even though I’ve now completed every last bit of story, I’m still two levels below the cap. Since there’s no content locked behind level cap (so far as I know), that’s not really a problem; it’s just surprising. How people were getting to thirty within the first week after launch I’ll never know. I did manage to unlock my final Javelin, Ranger. The other Javelins took me a while to warm up to, so maybe I need more time with it, but so far this is my least favourite to date. It’s just a dude who shoots things and flings the occasional grenade. There’s nothing special about it. At least the rocket barrage ultimate is satisfying, if a bit finicky to aim. 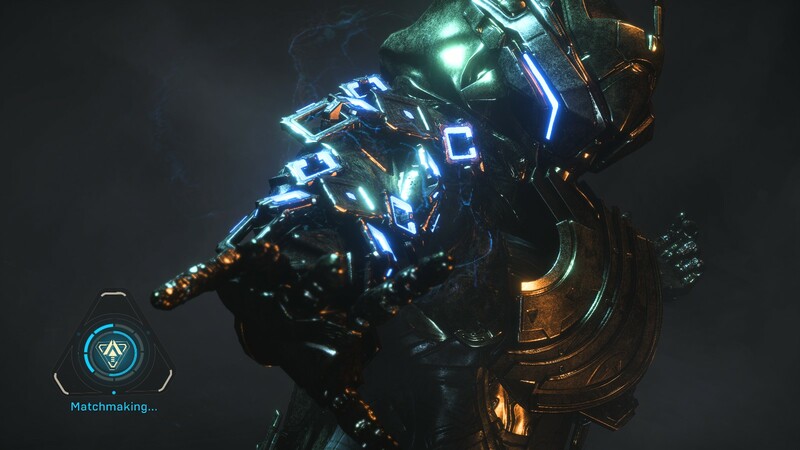 I remain quite happy with Anthem on the whole, but now that I’ve experienced pretty much everything the game has to offer, I will agree that it feels a bit anemic in places. It needs a bigger world, more strongholds, and more than anything else it needs more Javelins. The current selection are all fun (some more than others), but since there’s little ability to customize the playstyle of each Javelin, there definitely needs to be more than four of them. We don’t necessarily need the ridiculous number of suits Warframe is offering, but we do need more options than this. Obvious choices could include a stealth Javelin, a support Javelin, or a pet-focused Javelin. My understanding is that Bioware does hope to add more Javelins at some point, but that it isn’t a priority, which is concerning. I do feel my time in Anthem is now winding down, though I may still pop in now and then. It’s good stress relief. But there’s upcoming free content updates to look forward to, and having gotten over sixty hours of good fun out of it, I’m quite satisfied I got my money’s worth. It may not have blown me away the way Andromeda did, but Anthem turned out far better than I expected it to.